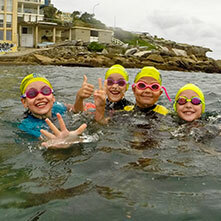 Swim at one of Australia’s most pristine marine parks in the Husky ocean swim, a supporting event of the popular Husky Triathlon. The 1km course, on Huskisson Beach and within the Jervis Bay Marine Park, is an inverted triangle swum anticlockwise. The ocean swim kicks off the weekend of events, including multi-distance triathlon’s and fun runs. Use the swim as a warm up to the tri’s or make it a challenge on its own. Celebrate after the swim with a beer at the world famous in Huskisson, ‘Husky Pub’.